In September I hope to read…. Goodreads: For so many people, reading isn’t just a hobby or a way to pass the time–it’s a lifestyle. Our books shape us, define us, enchant us, and even sometimes infuriate us. Our books are a part of who we are as people, and we can’t imagine life without them. 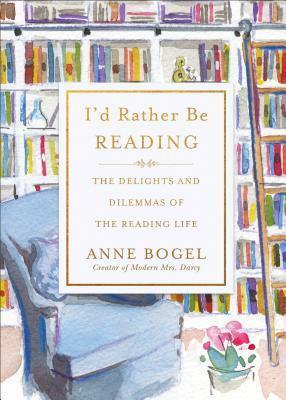 This entry was posted in Just An Opinion and tagged Anne Bogel, Baker Books, Coming Soon, I'd Rather Be Reading, Nonfiction by opesopinions. Bookmark the permalink.